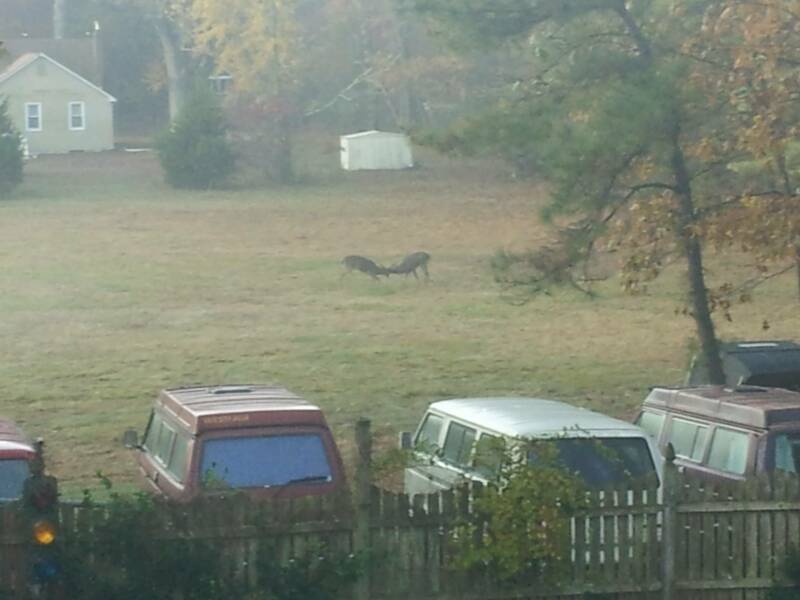 These two Bucks a 4 and 6 Pointer were checking out my back stock, and apparently both wanted the same Vanagon thus the fight began. 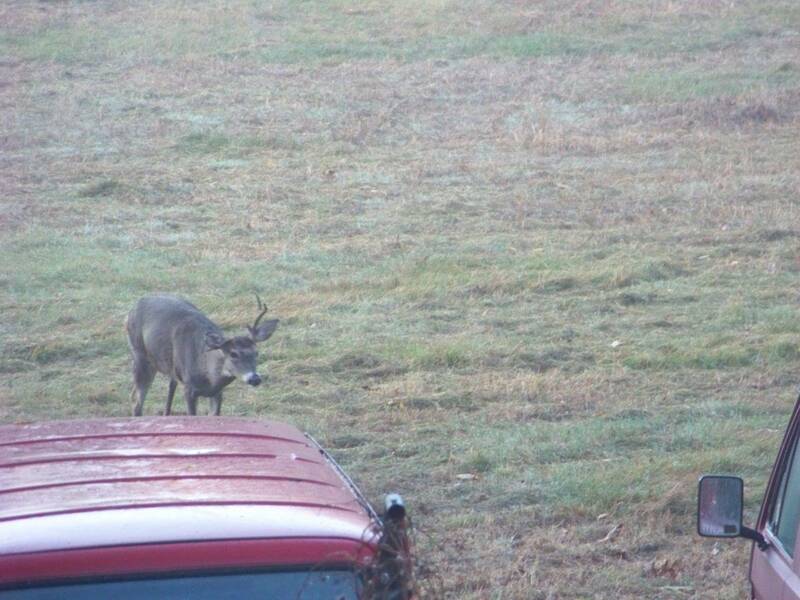 Apparently this guy was the winner and coming to pick his favorite. Life's [email protected]@D @ Vanagon Land =bananachaplin+= . #@rofl3 great pic.s! Though getting him being in the driver's seat would have been great!! 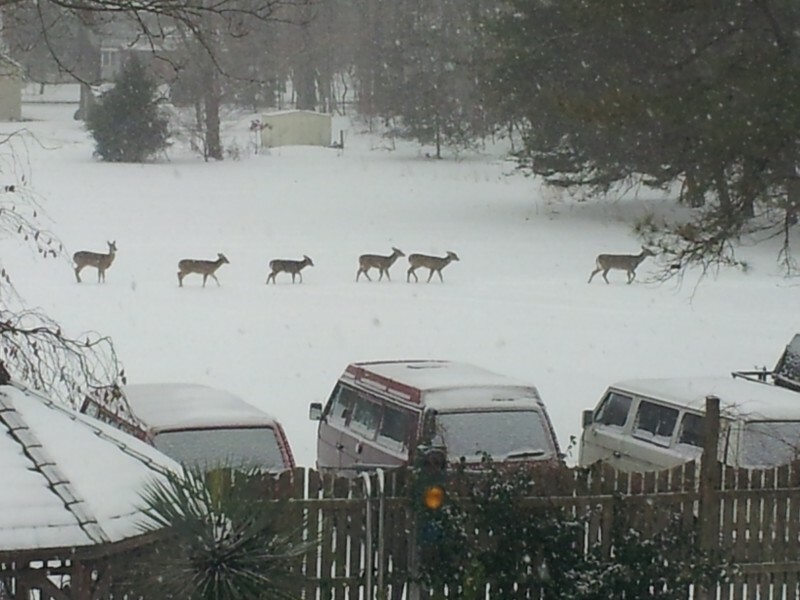 2 Day in the snow I glanced out the Back window and spotted a line of 22 deer headed kind of Northeast..
About 1\2 hour this group of 8 (2 out of Pix) came a different direction. Trust me it's like this almost everyday ask anyone who's been here. They are so smart they know who to trust and where 2 go.. I call them Yard Puppies and soon these mommies will be giving birth 2 twins each do the math ?.. Springtime you can damn near pick em up. They are cute, but they are evil! Lyme disease is the most commonly reported vectorborne illness in the United States ? ? in 2012, it was the 7th most common Nationally Notifiable disease. However this disease does not occur nationwide and is concentrated heavily in the northeast and upper Midwest.